I am so excited to finally have some warmer weather, everywhere I walk I see buds and little bits of green popping up and the crocus are in bloom. 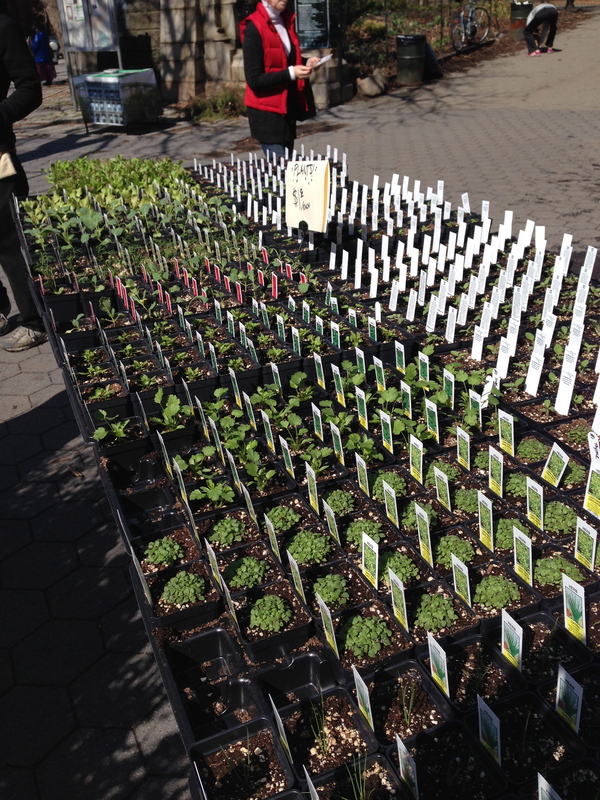 When it’s Spring I can’t wait to get some herbs and veggies in the pots, I thought I would check out today what kind of plants they had at the Farmers Market and on the way back stop off at the Brooklyn Flea, today is the first day they are back after the winter hiatus. It was a little early for the plants but I managed to come back with a few, in 2 weeks I’ll go back for more. I got some thyme, Italian flat leaf parsley, lime and sweet basil, pansies, begonia, mint, sage, rosemary. Can’t wait to plant them this week. I decided to try tomatoes this year too!! I am lucky enough to live and work in this wonderful community with it’s graceful architecture, century old homes, friendly neighbors, great shopping and food. Here are some photo’s of what I saw on my way around my neighborhood today. Graham Home for Old Ladies- I kid you not thats what the placard on the building really say’s, it used to be a brothel, and when the ladies aged it became a home for elderly ladies (of the night). They serviced the community many years and were frequented often by the sailors who came into the Brooklyn Navy Yard. 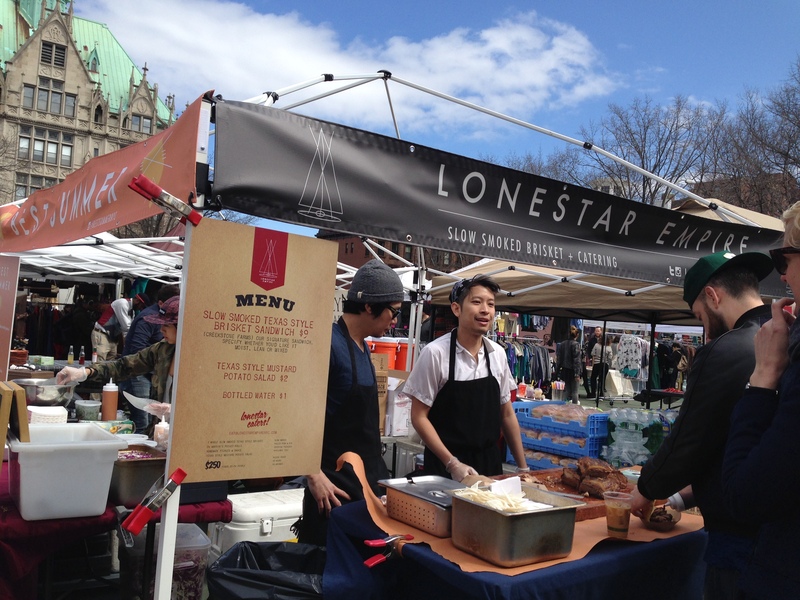 What a great area you live in – and great photos too, I feel like I got to visit the market with you! Just a thought, but if you ever feel like a house exchange holiday… your beautiful city home for an old, slightly damp, cottage in rural England, please bear me in mind! Thank you, I love where I live and LOVE the idea of a house swap. YES, I wouid love to and have always wanted to visit England. I am hoping to visit England, Ireland and Scotland. I would love to coordinate that in the near future. 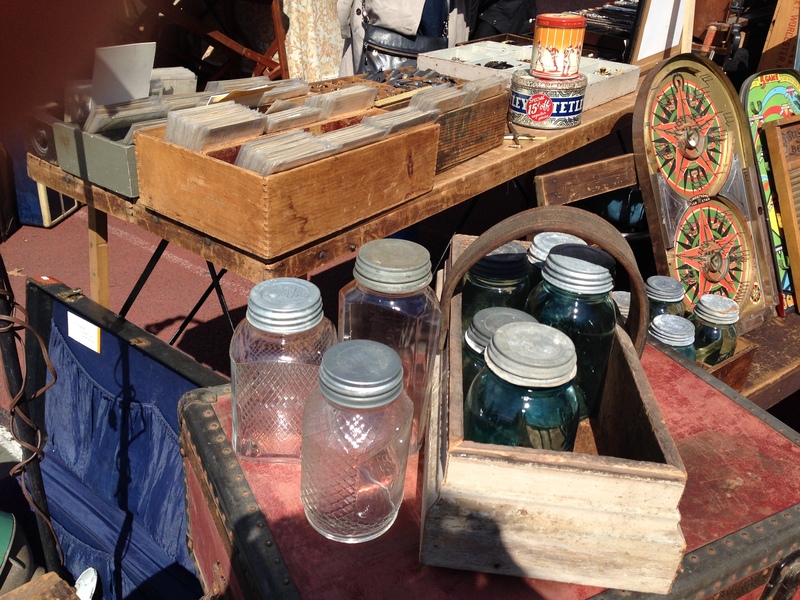 I love the Brooklyn Flea too. I go often as I can, for the food, which is incredible and glassware and plants and anything else that is cool. Such a fun day! Thank you, I am so happy the flea is open, I miss it when it’s closed for the winter. 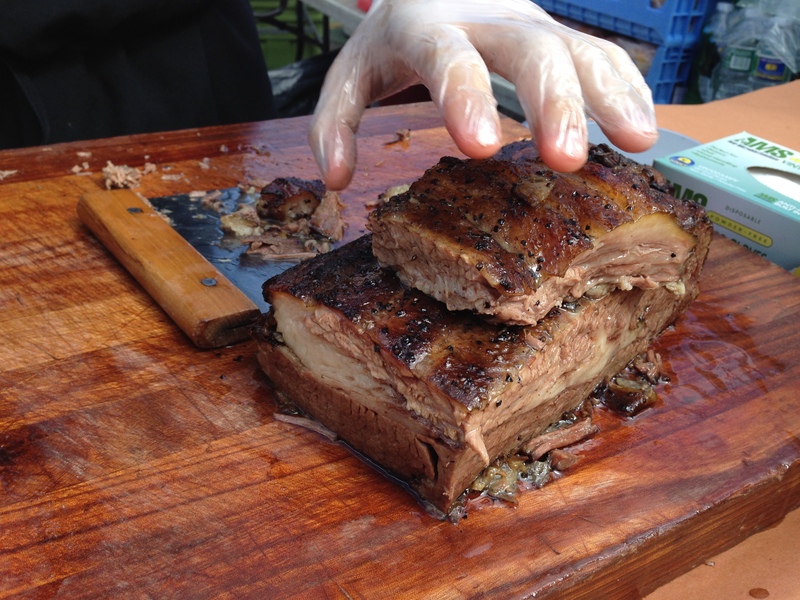 The food is incredible and this is the first time I have seen the brisket folks, must say it’s the best brisket I have had in a very long time. So tender, juicy and delicious. A must try, indeed. 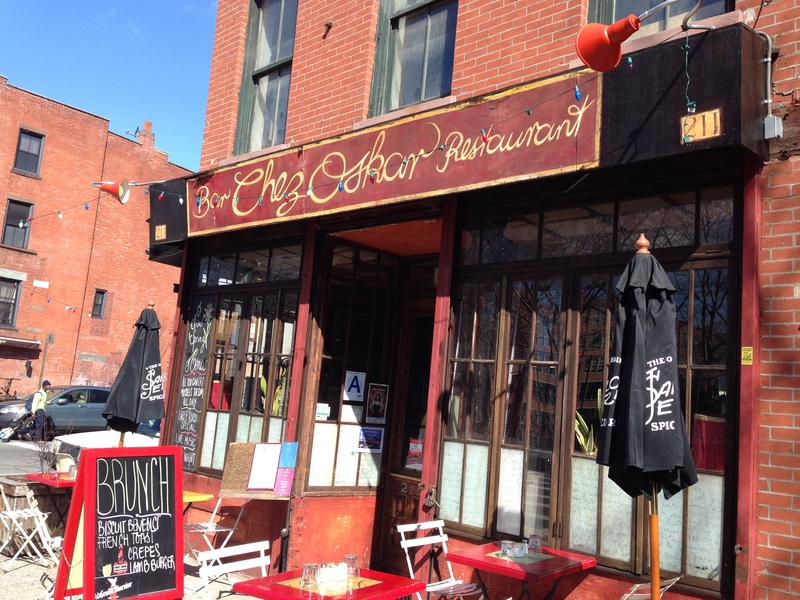 In past years I would visit the indoor fleas, think there are two, one is Artist Flea in Williamsburg and the other One Hanson Place Flea – didn’t get a chance to go this past winter. Boo! 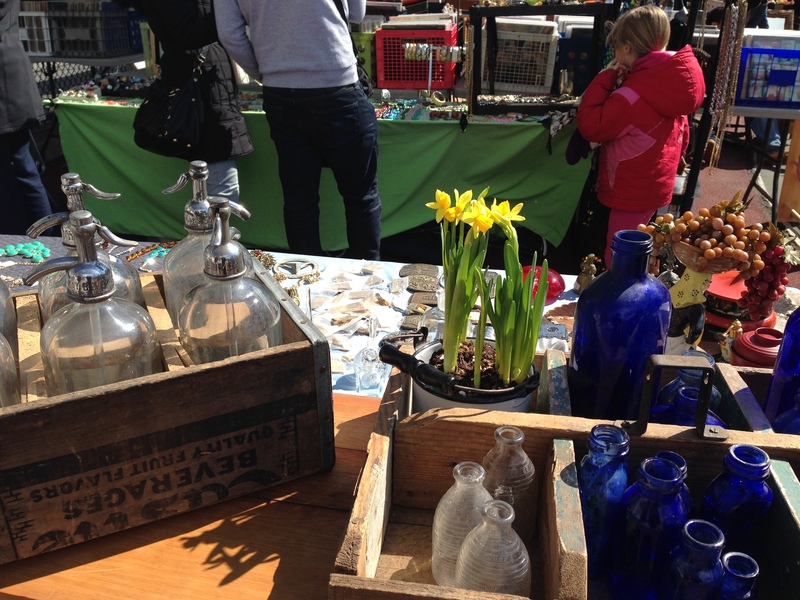 I’ve been to Hanson Place but much prefer the outdoor flea at Bishop Loughlin. Bigger and better! You have to come here and visit! 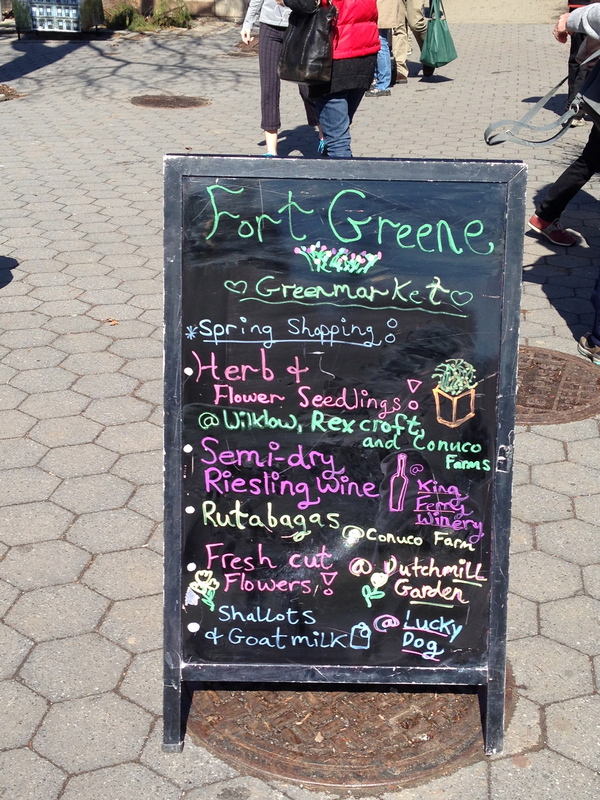 I haven’t checked out the Fort Greene Farmer’s Market but will now. SO glad it’s spring…I’m off to run in Prosoect Park! Great post. I love prospect park, used to run and bike and take the dogs there when I lived in Park Slope. Our little green market is nothing like the big one at Grand Army Plaza but it’s ours and we like it even if the selection is not as good. Thanks so much! Loved your neighbourhood Suzanne! It is such a happy feeling to go back to warmer weather and all those beautiful greens! Lucky you! Lots of people on the street, walking and shopping and talking. It is a happy feeling, even though it is really not that warm, it;s much warmer and certainly an improvement. I’ll take it, thanks so much Viviana! Thanks Jo, today was an incredibly clear, sunny day. It got warm but this morning it was quite chilly. 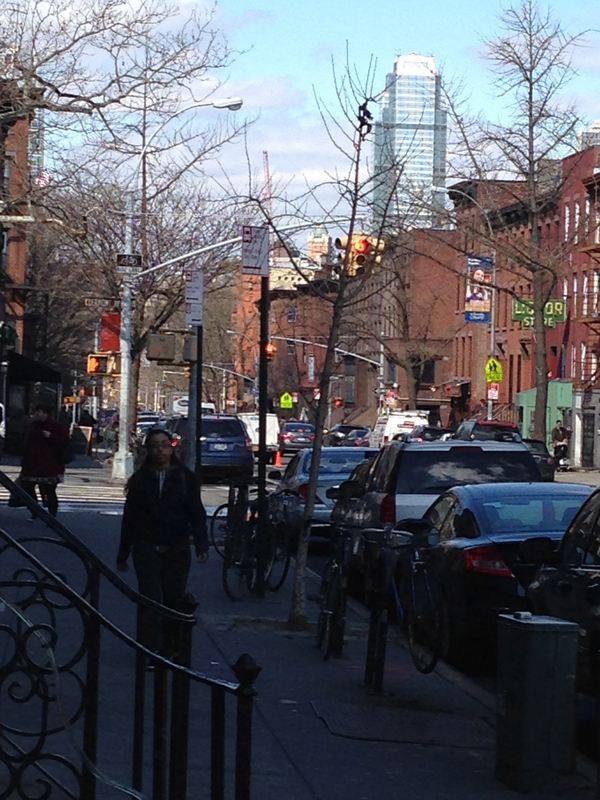 A great day to be out and about in Brooklyn! We’ve had grey skies for so long, it was so nice to see the blue. It was a beautiful day. Thanks so much. Life is so much better when the sun is shining, isn’t it? In Munich we’ve been blessed with an early spring and for weeks the temperatures here have been much higher than usual. How wonderful, do you remember where you were in Brooklyn? I definitely think that everything is better when the sun is shining and today was one of those great days. So glad the weather is nice in Munich, thanks so much Julian! I cannot say how much I miss leaving in NYC. It is a magical place especially on a glorious spring day. It really is wonderful but have to admit, I love where you live also, it’s just beautiful! Thanks so much Francesca. Best post yet Suzanne! Loved “walking” through your neighborhood and traipsing through the famers’ and flea markets! You’re lucky to live is such an interesting, beautiful place! Thanks so much Rhonda, yes I love living here, its a wonderful neighborhood and there is always something interesting to do. I don’t know what that that photo is, but I want to eat it. 🙂 This is a lovely view of your neighborhood. Thanks for sharing. Thank you, the food photos are smoked brisket and it’s incredible and doughnuts from a place called dough, the vest doughnut I have ever eaten. Good food today! It was so nice just walking around with bright sun, no rain or snow. Thanks Liz it was a really good day. Yay! You are getting warmer, good thing Suzanne. What a lovely post to be able to see some of the area where you live. 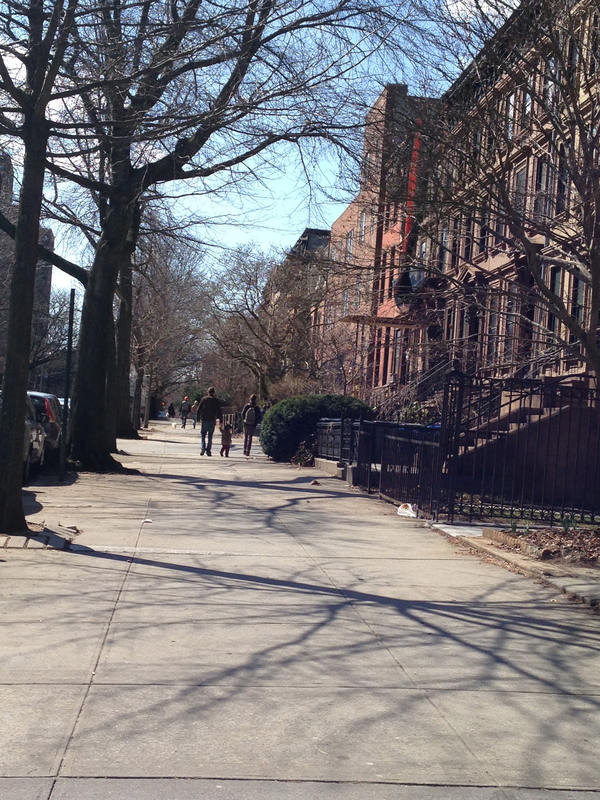 It’s such a lovely neighborhood, I was compelled on such a great day to record my walk and share. I hope they thrive also. gardener I am not. I have to get soil as they will be going in pots, the soil in my yard is not good and the plants don’t do well and I am not knowledgable enough to adjust it. NYC is one of those places that you really need quite a long time to see since it is so expansive. Hope you come again one day. Thanks so much. Yay for spring! It’s been awhile since I’ve been in Brooklyn, thanks so much for this picture walk through-I so miss the little cafes around, one of my fav’s was Fabienne’s! I couldn’t help but chuckle at the story behind the “Home for Old ladies”! 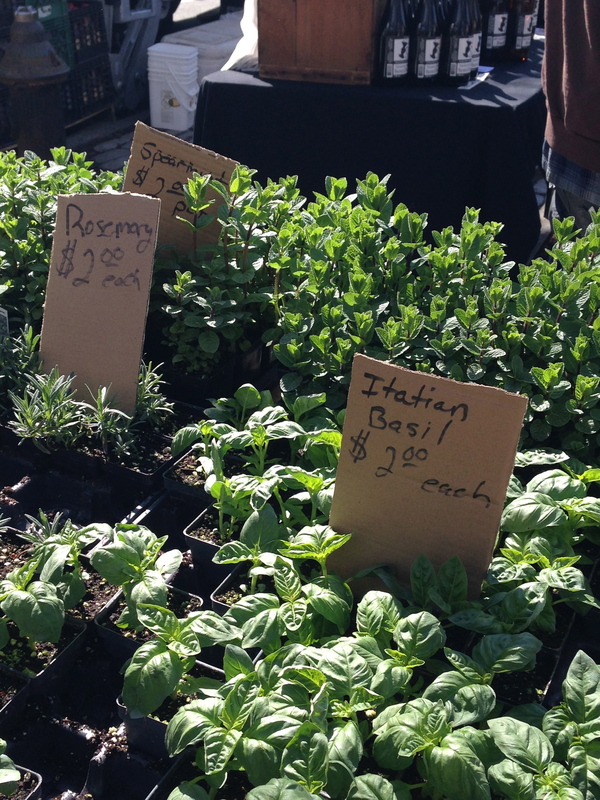 Lovely farmers market – hope you have a wonderful Sunday, Suzanne! Thanks Shashi, Brooklyn has some wonderful cafe’s and restaurants now, it’s really booming. I know the Graham Home For Old Ladies placard still sits on the condo building. It’s really a beautiful old building and the condo’s are nice and what a colorful history! It is nice to have a warmer weather, we have few sunny days in England as well, but today is a bit good and bad between. I love to walk along and visit local market and farmers market if I go on trip, love the local produce and the people. Me too Mochi, walking around visiting markets etc,,, is one of my favorite things to do on the weekend. Thanks so much. I’m so envious of your neighborhood Suzanne, it really is so beautiful and I agree, the architecture is amazing and has such character. 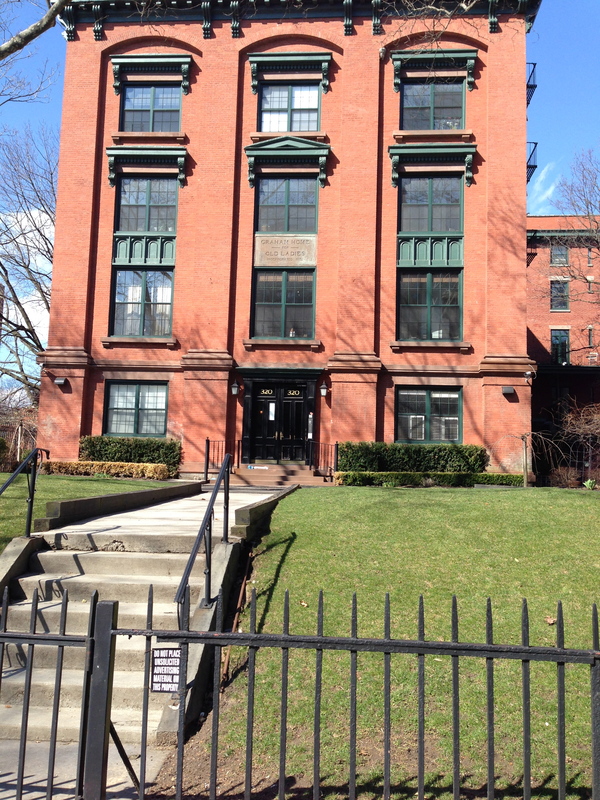 I love the building styles in Brooklyn. I’m super excited about Spring too. I have my first 2 plants in my home that I’m growing that my hubby bought me…Italian flat leaf parsley and sweet basil. I love having it right here because I can use it daily and get more nutrients that way and it is SO much cheaper than continually buying it at the store in small little packets each week. Great pics! Those donuts are making me drool, haha! It is a wonderful neighborhood, I have lived here a long time and really am so happy here. I am a terrible gardener, everything I plant has a short life span for the most part. I don’t know what I do wrong but if I can get a few months of good use I will be happy, I plant flat leaf parsley and basil every year, it is wonderful and so much better than buying the store. Those donuts, oh my are they good. I had them once in their shop while still warm, now thats a real treat! Thanks Brandi. As soon as the workers all clear out of here from the kitchen remodel, I’m planting the garden. You totally got me in the mood. I love seeing your neighborhood!! Thanks Susan, I have to go get soil to put in the pots so I can plant everything, going to do that this week. I bet you will have an amazing garden, I imagine you to have a real green thumb. Can’t wait for the finished kitchen pics. Thanks for sharing your neighborhood! Your photos were wonderful. Happy spring to you! Happy spring to you to Danielle, thank you so much. Really lovely neighborhood, Susanne! 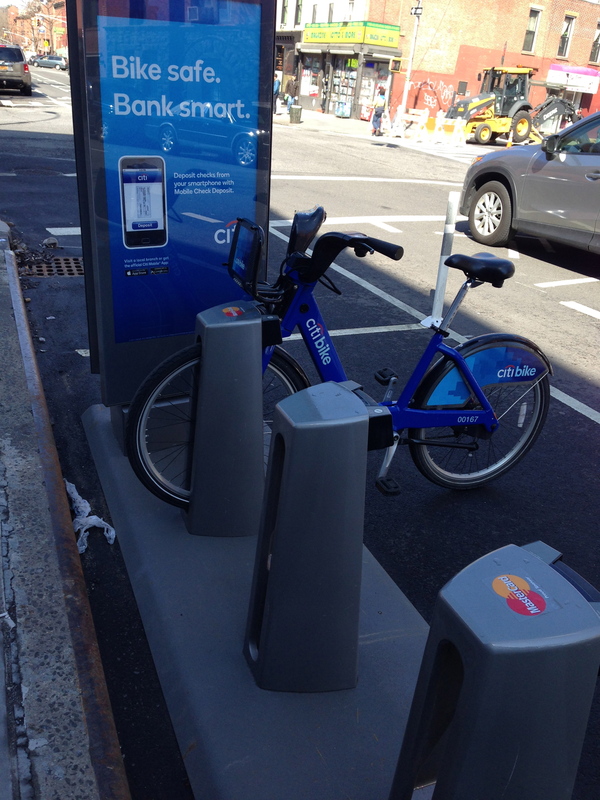 Market and ‘rent a bike’ are near, that’s so nice! Thank you, the rent a bike is very popular but not doing well, I hope they don’t do away with it. I love doing a walking tour. And here the rent a bike is not quite popular; I saw only 3 rentals in different parts of Dubai and there are always plenty of bikes. Even when the weather is good nobody rides, everyones walks inside shopping malls. It’s wildly popular here, you see that bike it was the only one left and I made note of the other kiosks and every bike was gone but for some reason the city is not making any money, they are losing $$. People love it, but they are talking about discontinuing. Maybe in Dubai people are more apt to either walk or drive. NYC has a lot of walkers but bikes are very popular here. It was a beautiful day, had a great time wandering! 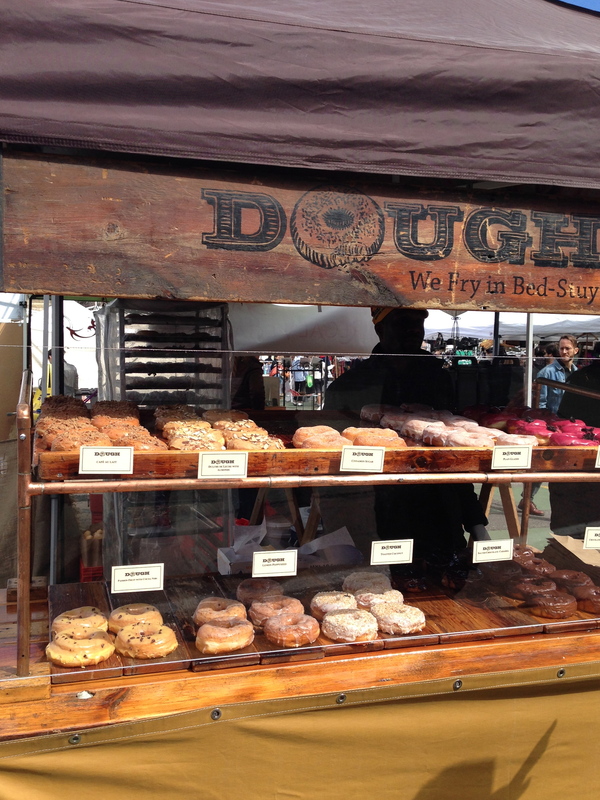 I had a doughnut, total indulgence. They are huge but I ate every bite. I have one every now and then and enjoy every bite. Thanks so much. Looks like a fabulous day! Just love days like that – at the end of the day you feel so fulfilled! It was wonderful, thank you. Had such a nice time. It felt so good to walk with the sun shining down on me. So nice. Love these pics. Thanks and Happy Spring! Love that last photo! Brooklyn actually looks like a great place to live in a way. Least wise your pictures make it seem so. I enjoyed it! Thanks for sharing! I would love to see a walking tour of your kingdom, yes please! If you ever come to NYC you have to let me know. I would love to meet you! Absolutely, dying to meet your furry and feathered friends. Lovely pictures, Suzanne! thanks! You will love growing your own tomatoes,…it is easy to grow. They need a lot of ful sun, tender & much love too! 😉 Home grown is best! If you need any tips, I will give them to you! I have grown a lot of different sort tomatoes, in big containers, outside! Your photos are beautiful! 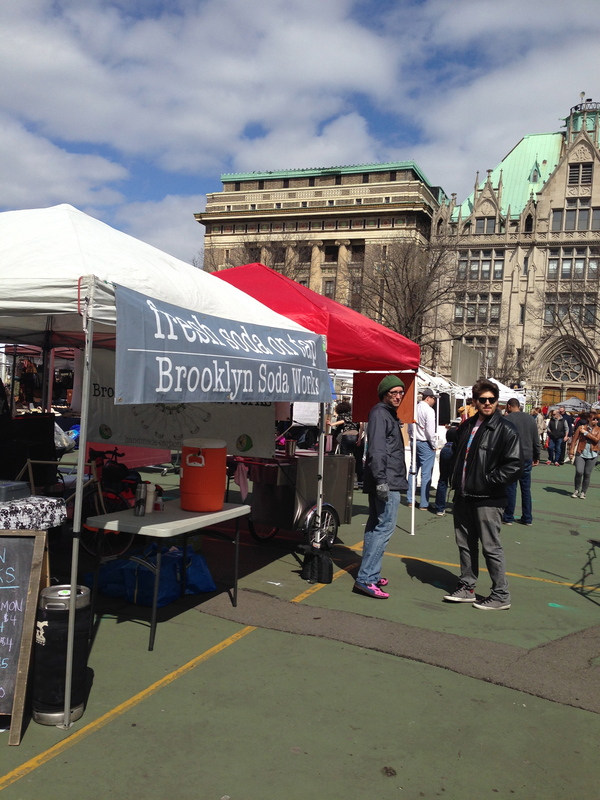 Especially the greenmarket and Brooklyn Flea. Exactly what Spring is all about! Brooklyn is the best, love it here. Thanks so much. This is so funny that I’m seeing this post now as I just finished an hour session with my daughter, narrowing down 40 uni’s and colleges down to about 14. I can’t remember which college was on her list, but she asked where Brooklyn was! She’d LOVE to go to school in NYC or nearby, but after having my son in DC for 3 years, I’m dreading another kids in college on the east coast! Thanks for posting all these photos, this is the kind of thing I love as I’m a travel nut and haven’t been doing nearly enough traveling the past few years, in fact, last year was my very first time in NYC! I won’t even tell you how old I am, but it was seriously past due! You’ve now inspired me to get my Germany post done (from my trip last December)-thanks, Suzanne! I know how you feel but there are some really good colleges in NYC and Brooklyn. Where I live in Brooklyn it’s very close to the city, It’s a wonderful neighborhood, lots of fun. The colleges here right near my home are Pratt and St. Josephs. Then of course NYC there is a plethora. Hope you come here again for a visit would love to meet you and thanks so much. Thanks Laura, I love it in Brooklyn, close to Manhattan but a totally different feel. Yes, the food here is amazing, I love to visit the flea and go from kiosk to kiosk. Hope one day you visit NYC and make it to Brooklyn. Oh Brooklyn is the BEST!!! Please do visit and let me know if you come. 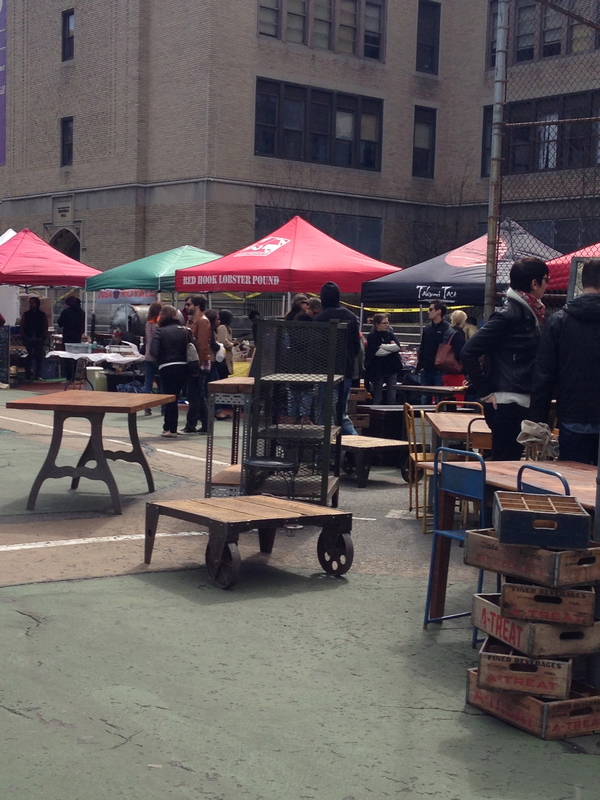 The Brooklyn Flea is amazing, food, goods everything. The Brooklyn vibe is electric!! Thank you so much. Thanks Suzanne! I’m looking forward to visiting your blog. I will let you know! I’m in Toronto so not too far to visit. I love Toronto, have visited several times. Such a fun city! Hi Suzanne. I was having some “random post fun” and so glad this one popped up. What a fun post. Really enjoyed it. Hugs! Oh my forgot about this one. Thanks so much.